Last week, we posted that a popular web hosting company—GoDaddy, although we didn’t name it at the time—provided a strange customer service experience to a commenter. Cyberguy was contacted via phone by someone from their “Office of the President” after emailing them, but then Cyberguy couldn’t get their rep to state clearly which company he was representing. Cyberguy was rightly suspicious. Was GoDaddy outsourcing its own executive customer service? 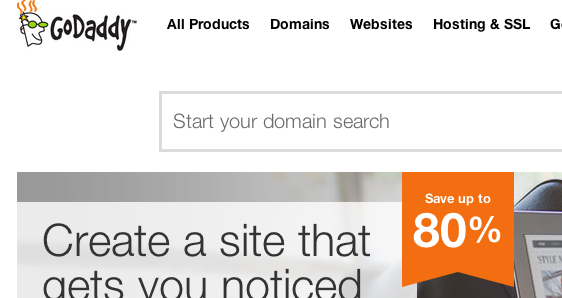 GoDaddy Hushing Up Customer Credit Card Data Breach? Did domain name registrar GoDaddy have a credit card security breach that they’re not telling anyone about? That’s what Reader Newcxns thinks. Two weeks ago, one of his Citi cards was replaced. One week later, another. The only thing Citi would tell him is that “a merchant” reported a possible data breach. No merchant has sent any data breach reports to Newcxns. In typical fashion, banks and vendors like to hide it when their security systems fail and compromise your account information.